PEM Parties - What A Great Website! Clients hire Jan Ehrenberg to plan and produce their dream wedding or special event. And she obviously does just that cause 100% of her business is from referrals. Jan’s new website had to be beautifully designed and flawlessly executed to match her tagline. Fortunately, she had a bevy of professional photos from events she’d done. 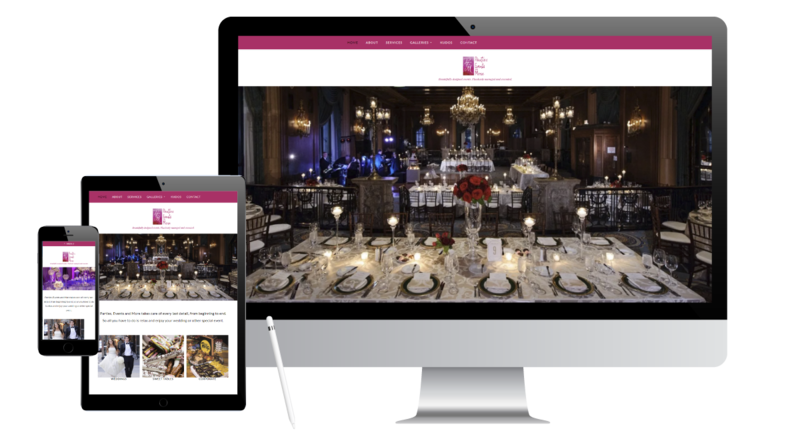 Visitors scrolling through her galleries can see just how elegant their wedding or special event will be if they hire her. Floating captions, as you hover over the images, describe what you’re seeing.